Barclays upgraded Merck to overweight from equal weight on better opportunities versus its competition. It also downgraded Pfizer to equal weight from overweight, citing a less likely chance of a “transformative” acquisition. 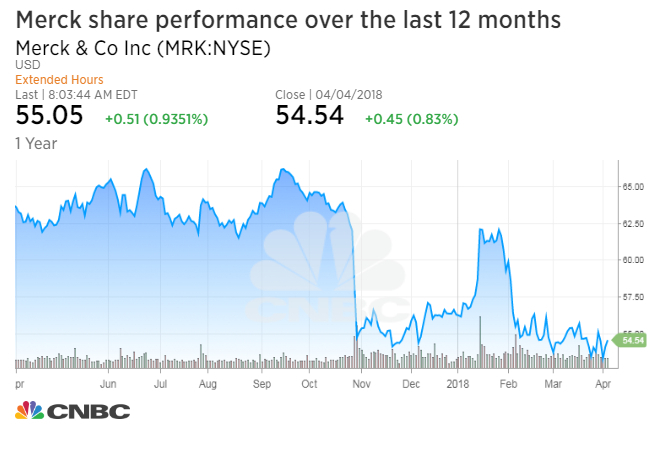 Analyst Geoff Meacham and his team also raised their price target on Merck by $2 to $64, a more than 17 percent increase from Wednesday’s close. “In our view, there is perhaps 15 to 20 percent of first-line lung market share ‘up for grabs’ in the U.S.,” the analysts said in a note to investors Thursday. Meacham also noted a better outlook versus key competitors, namely Bristol-Myers Squibb. Merck shares closed 0.02 percent lower at $54.53 a share, giving up an intraday spike of more than 1 percent. The stock has fallen 3 percent this year. Meacham and his team lowered their price target on Pfizer by $3 to $38, still more than 5 percent above Wednesday’s close. “In our view, current levels largely capture the upside for key products such as Prevnar, Ibrance, Xeljanz and Xtandi,” the report said. “Our previous Overweight rating was based on the potential for a transformative acquisition, which could accelerate the growth profile and provide a clearer strategic direction, which we now view as less likely in the near term” based on recent interaction with management, including the CFO. Pfizer shares closed 1.1 percent lower Thursday at $35.73. 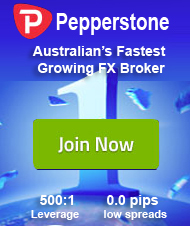 The stock is down 1.35 percent for the year. In the Thursday report, the Barclays analysts also downgraded Biogen to equal weight from overweight.